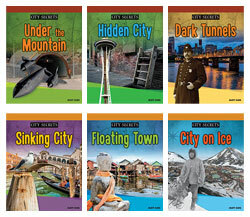 Each City Secrets title is now enlarged to a 7x9 format with full-color images throughout. 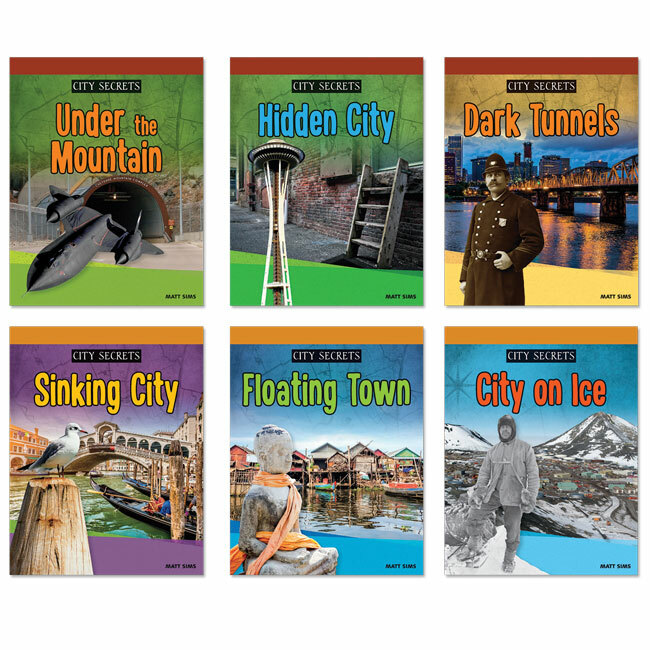 This informational text series uses short, but complete sentences to convey the history and facts of each featured location. City Secrets follows the Sound Out skills in levels 5 and 6 of the Sound Out skills chart (see chart). For the first time each title is available separately or as a Class Set (5 of each title). 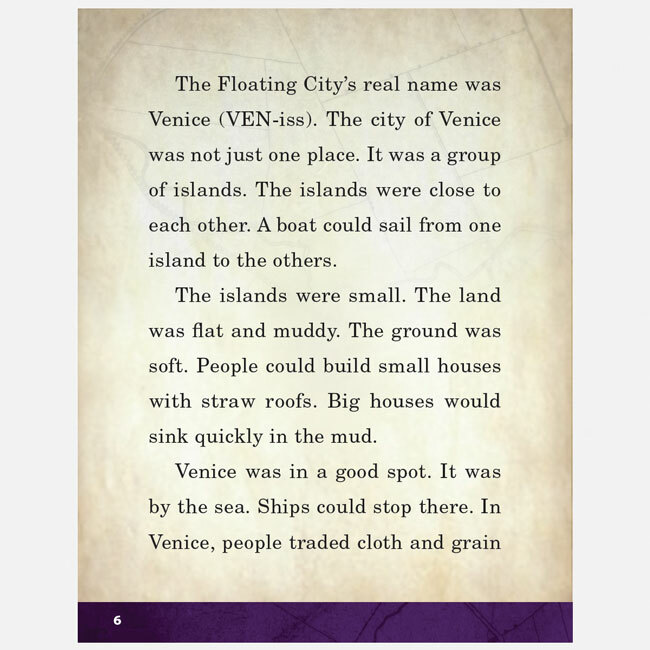 With all Sound Out Chapter Books, students have a chance to read engaging text while the controlled vocabulary helps them practice phonics and basic word-building skills. Sound Out Levels 5 and 6 introduce the following skills: one-syllable spelling patterns, word endings, compound words, prefixes and suffixes, and simple two-syllable words. Many years ago, young men disappeared under the streets of Portland. They were hidden in tunnels and forced to work on ships. Near the South Pole, on a rock surrounded by ice there is a small city called McMurdo Base. How did it get there? What is it like there? And why do people live in all that cold? Hidden under the modern city of Seattle lies another older and forgotten one. Why did the people build over their old streets? Every year, when the floods come to Cambodia, the Great River runs backward. 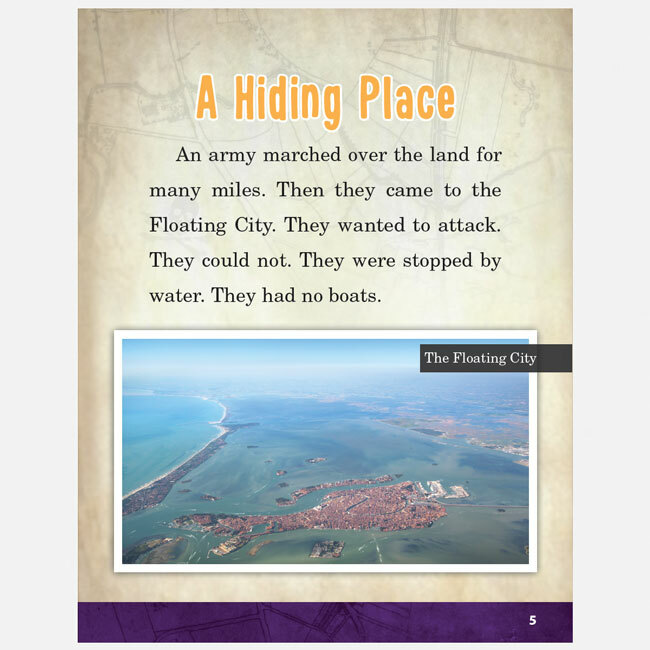 The town on the Great River floats, and spreads out over a vast lake. How do the people live without land? Deep inside a mountain, people in NORAD worked to defend against attack from the skies. Why were they hiding under a mountain? 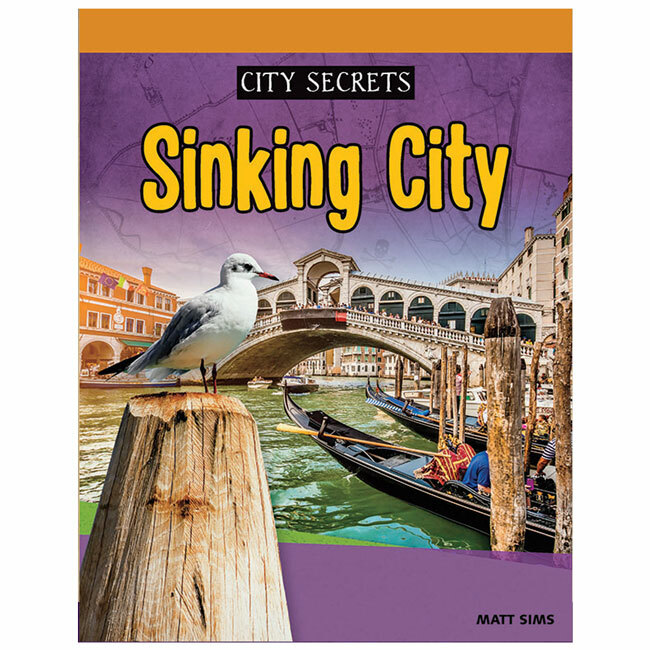 Venice is sinking! More and more water floods the plazas, but people are working to save this historic Italian City. What can they do, with rising water all around?